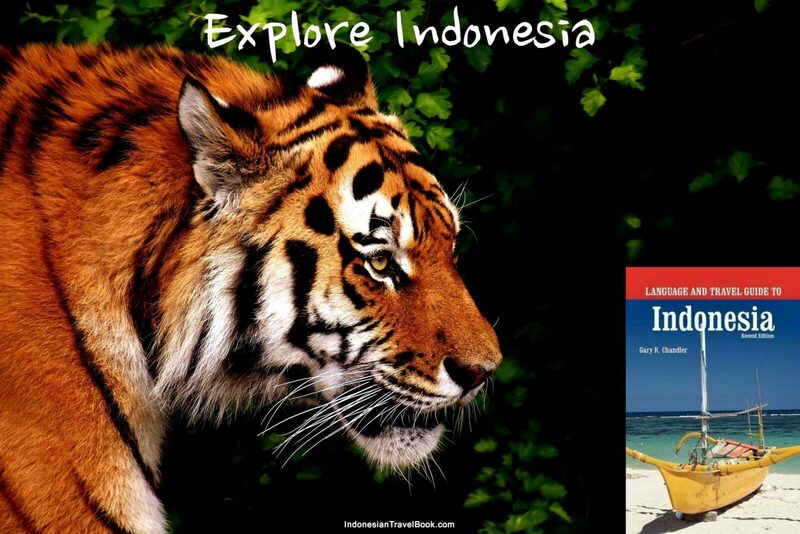 Indonesia includes some of the largest and most exotic islands in the world, including Bali, Java, Komodo and Sumatra. There are more than 17,500 islands in all. Indonesia shares two of its largest islands with other countries. The Indonesian state of Papua, formerly known as Irian Jaya, occupies the western half of New Guinea—the world’s second largest island. Indonesia includes part of the island of Borneo, which is the third-largest island in the world. Indonesia shares the island of Borneo with Brunei and Malaysia. Indonesia’s share of Borneo is called Kalimantan. In addition to these large islands, Indonesia controls all of Sumatra, which is the sixth-largest island in the world. Meanwhile, Sulawesi and Java rank as the 11th and 13th largest islands on earth. More than 60 percent of all Indonesians live on Java, which is the most populated island in the world. The capital city is Jakarta, where about 25 million people live. Despite the population density on Java, hundreds of other islands in the country are uninhabited. The real beauty of Indonesia is found in the eyes and smiles of its people. Taking the time to learn some simple Indonesian words and phrases will help you unveil more of this country’s wonderful treasures. Indonesia has a lengthy history that includes some of the earliest human civilizations, as evidenced by the archeological discovery of Java man on the island of Java in the 19th Century. Java Man is the name given to fossils discovered in 1891 at Trinil on the banks of the Bengawan Solo River in East Java, one of the first known specimens of Homo erectus. Its discoverer, Eugène Dubois, gave it the scientific name Pithecanthropus erectus, a name derived from Greek and Latin roots meaning upright ape-man. For more than a century, these were the earliest known human fossils, which unleashed speculation that this region of the world could have spawned human civilization. The country also will play an influential role in the future of human civilization, due to its enormous population and valuable resources. With more than 230 million people, Indonesia is already the fourth most-populous country in the world, behind China, India, and the United States. Indonesia is home to the world’s second-largest rainforest and hosts many endangered species, including the Sumatran tiger, Javan rhinoceros, orangutan, Komodo dragon, and many others. This tropical country stretches more than 3,200 miles across the Equator. The islands form a massive dotted line that separates the Indian Ocean from the Pacific Ocean. Although the country does not have an official religion, Indonesia is the largest Islamic country in the world. It has a diverse religious history, including animism, Buddhism, and Hinduism. It also has a varied religious climate today that includes virtually every faith in the world. Most Indonesians are happy, friendly, and curious people. They often will speak to you as you cross paths. They typically will ask where you are from and where you are going. When you have the opportunity, try to converse with locals. It can be educational, informative, and rewarding. 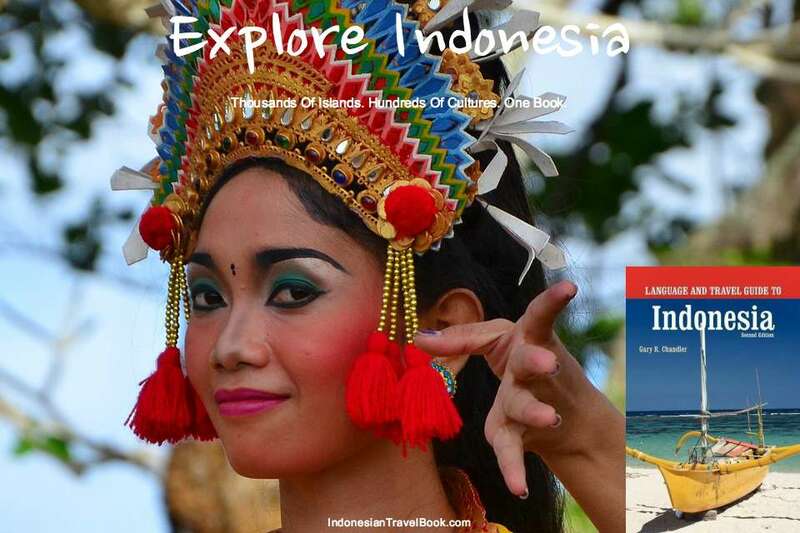 Most Indonesian people know at least a few English words and are eager to learn more. 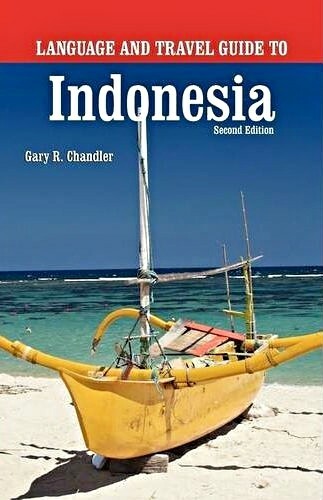 Many Indonesians are very articulate in English, especially those involved in tourism, retail, and international business. Taking time to study this book will help you get the most from your trip. Study the chapter on “Essential Phrases” until you are comfortable with many basic words and phrases. The ability to manage a basic vocabulary will help you get the most out of your time in this fascinating country. This book will help you handle almost any situation you may encounter. When you find yourself at a loss for words, be creative—body language and hand gestures can be helpful. In many situations, you can find someone nearby who can interpret for you. Most Indonesians work very hard to support their families. Treat them with respect and most Indonesians will return it ten times over. To show your respect, try to say some words in their language and offer to tip the people who help you. It also helps to smile when conversing with locals. You also should avoid crossing your arms against your chest when conversing with, or observing, locals. This is a hostile stance in most of Asia and can generate a cold response. One of the most important phrases that you should remember is Terima kasih. (TEHR‑ree‑MAH KAH‑see) Thank you. These simple words often will generate a smile and a nod. In response, the person will likely say Sama sama, which means Same to you or the equivalent of You are welcome. The person might also say, Terima kasih kembali, which also means thank you in return or you are welcome. There are approximately 300 different cultures throughout this large country, including more than 250 different languages. Bahasa Indonesia, or Indonesian, is the official and most common language (“bahasa” is the Indonesian word for “language.”). It is spoken in part by almost every culture throughout the vast country. Bahasa Indonesia contains aspects of many other languages, including Javanese, Malay, English and Latin. It also includes Arabic, Chinese, Portuguese, and Dutch influences. Dutch colonialists revised Bahasa Indonesia during their occupation of this tropical country.